When Netflix announced that they were separating their mail and streaming services into two different companies, there was a lot of effort put into focusing attention on the mistakes they made recently rather than the future of the companies. While it makes for great sound bytes and headlines, was it done in a way to hide their true intentions? The media will try to dig down into the heart of the matter to try to find the real story. Big business will often attempt to hide the truth by giving us something more juicy to sip on. The art of spin-doctoring is well-practiced but not often mastered. In the case of Netflix breaking off their DVD-by-mail service into a separate company called Qwikster, the real motives are potentially being smokescreened by CEO Reed Hastings’ apology and declaration that he “slid into arrogance” when they raised their prices and brought about a public outcry for an alternative. In reality, these moves are pointing to an understanding that Netflix has had for a while. DVDs will die. Soon. It may be hard for some to imagine a completely digital home-entertainment world, but the day is coming sooner than most are willing to believe. Netflix knows this and they’re setting up a company that is designed to fall in the next few years without taking the larger company down with it. The costs associated with physical DVDs sent by mail are much higher than digital streaming. Today, it’s still a thriving business model that is necessary for the company to maintain its revenue and grow its customer base. Tomorrow, it will be neither profitable nor necessary if Netflix can pivot properly and increase their stranglehold on portions of the digital delivery market. If Netflix saw a future in DVDs, they would not make this change. It doesn’t make sense by any stretch of the imagination unless they intend to dump it completely in the near future. 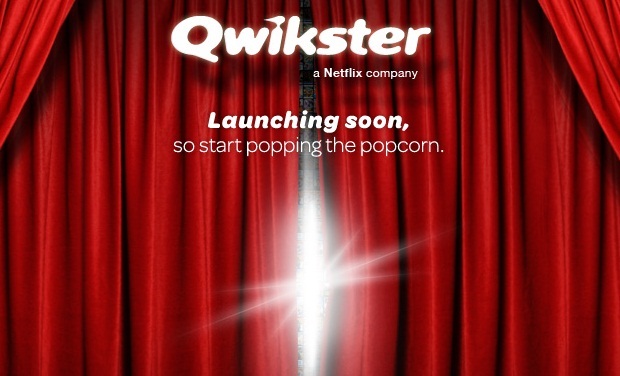 In the next few years, Qwikster will either be out of business or will completely dissolve their DVD-by-mail portion of the business (assuming they can make moves to add other aspects). It will sell its assets (possibly to Redbox) and either dissolve as a company or focus on gaming (which they plan on integrating into the service). Many of the employees and executives will be brought back to Netflix. Some will be released. There is simply no other explanation for the change. It makes more sense to keep the businesses attached, allowing for easier logistics, fewer employees, and the ability to cross-sell. The only scenario that warrants separation is the eventual and planned demise of Qwikster. As odd as it may sound, closing down an entire company is much easier and less expensive than closing down a large division of a company. Liabilities are easier to manage. It makes managing public relations fundamentally more simple as Netflix would not have to show losses or firings from the parent company. Tax challenges can be averted. Was all of this staged? Of course not. Netflix and Hastings did indeed “mess up” as he said in his statement with their handling of the price increase. However, it worked out the way they intended (other than the higher loss of customers as a result of the price increase). There’s a reason they released the news and the apology just prior to the start of the work week. There’s a reason that they’re adding games to the future rotation of mail-rental options. There’s a reason that they named it Qwikster, something that doesn’t exactly mean or say anything related to a DVD-by-mail business. They hope that the company will succeed long term, but they realize that the chances are slim. Splitting it off will make the inevitable demise of DVDs much easier for Netflix to handle.